As part of our commitment to provide total solutions, TechNet provides all infrastructure hardware and software solutions. We deal in wide range of hardware right from Desktops, laptops, servers to handheld devices and peripherals like laser printer, scanners and projectors. 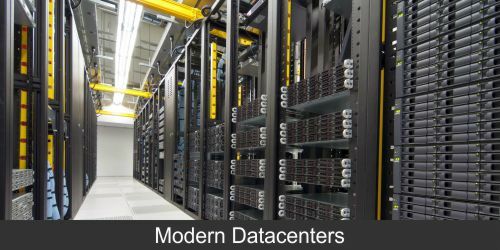 For large corporate, government and educational institutions, our team of experts will help you build modern datacenters with all the requriements ranging from servers, power backups, cooling, fire detection & supression, video surveilance, biometric security and raised flooring. We will further support you with providing system related services such as Firewalls, Proxy servers, Web servers, Email servers, DHCP, DNS and Active Directory. With more and more applications becoming IT enabled, the quantum of data stored is exploding; Backup solutions are a part and parcel of IT Infrastructure. We provide a complete range of SAN and NAS storage solutions. The primary difference between NAS and SAN solutions is the type of access protocol. NAS protocols such as NFS and CiFS provide shared file level access to storage resources. The management of the file system resides with the NAS device. SAN protocols such as iSCSI and fibre channel provide block level access to storage resources. Block level devices are accessed by servers via the SAN, and the servers manage the file system. Power solution is the most critical part of IT Infrastructure which protects your computers from power surges, brown-outs and black-outs. We have trained engineers who can design and implement custom power solutions depending upon customers’ needs. We deal in power solution from world leaders – APC , TRIPLITE, SOCOMEC AND EATON.